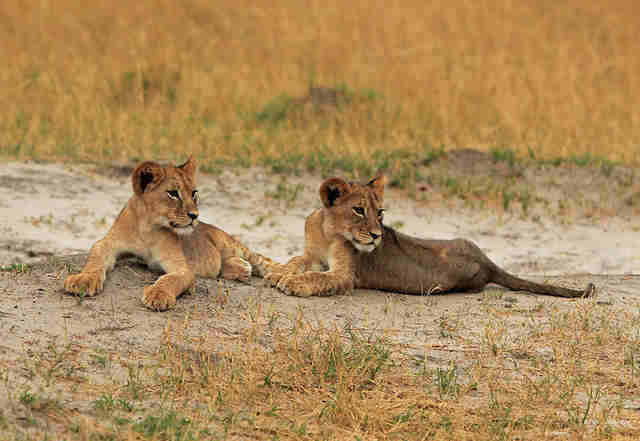 UPDATE: Cecil's cubs are thought to be safe. His "brother" Jericho appears to be taking care of the young lions, according to Oxford University. 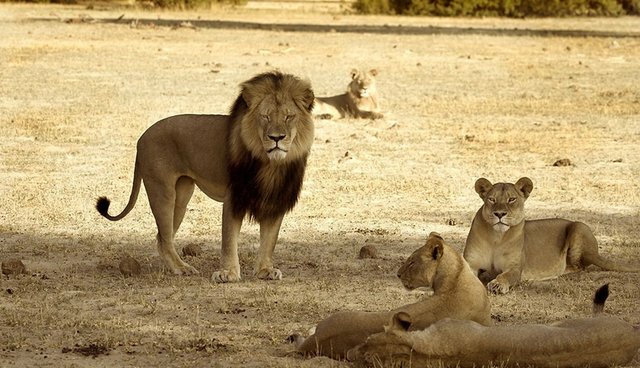 The brutal killing of Cecil the lion will have long-lasting effects on his pride - and may even cost his 12 cubs their lives. Since Cecil is no longer the head of the pride, the lion who takes over will most likely kill his cubs in an act of dominance. "The saddest part of all is that now that Cecil is dead, the next lion in the hierarchy, Jericho, will most likely kill all Cecil's cubs so that he can insert his own bloodline into the females," Johnny Rodrigues, chairman of the Zimbabwe Conservation Task Force, told the BBC. Walter Palmer, a dentist from Eden Prairie, Minnesota, paid $55,000 to hunt and kill the beloved lion Cecil outside Hwange National Park in Zimbabwe. Palmer admitted that, with the help of local hunters, he lured Cecil out of the protected area of the park and shot him with a bow and arrow. The lion survived the initial attack, only to be hunted down, killed and beheaded after 40 hours of roaming around in agony. In a statement Tuesday, Palmer said he had no idea that the hunt was illegal. Now, it looks like Cecil's children may face a fate as awful as their father's. It's thought that when a male lion takes over a pride, he kills or ejects the previous leader's male children to assert his dominance as well as eliminate any possible competition. 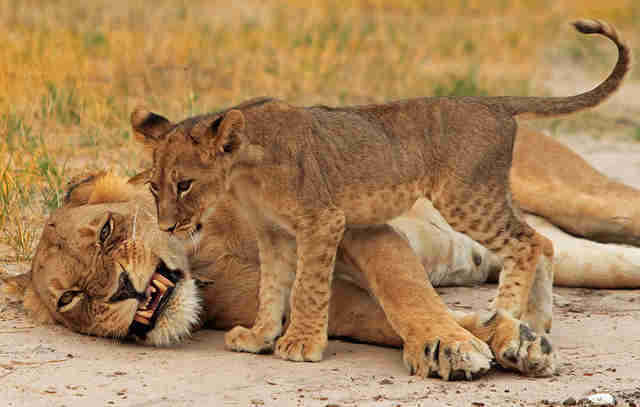 Once he sires his own children, he'll eventually kick them out of the pride when they reach maturity to retain control. 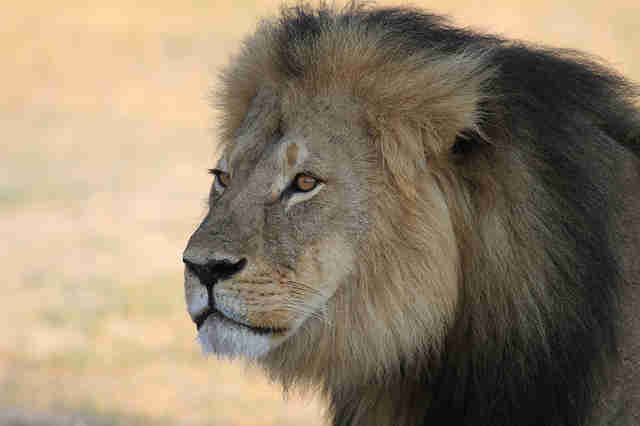 Professor David Macdonald, who founded the Wildlife Conservation Research Unit at Oxford University, agreed Cecil's death would lead to a "cascade" of other deaths. "The death of one lion is not just the death of one lion - it is a cascade. It has consequences," he told the BBC. However, the cubs' fate is not necessarily sealed. Some female lions have been known to hide or "disguise" their young in order to keep them in the pride during the transition. Whether or not Cecil's cubs are still alive isn't known, but there is little that conservationists can do for them at this point. 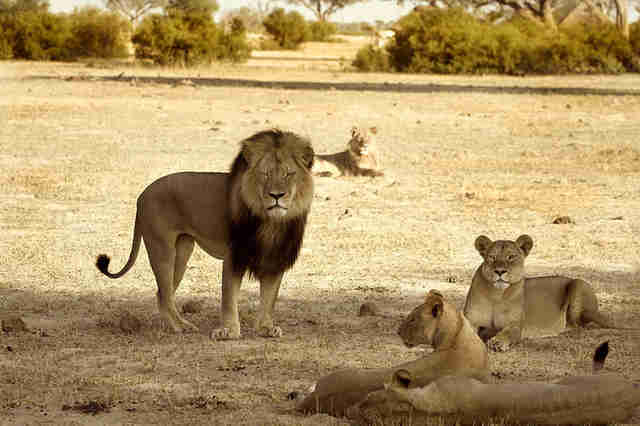 Cecil was killed on July 1, so the next lion in the hierarchy could have already killed the cubs. Rodrigues pointed out that it's also possible he took them on as his own. Conservationists in the area are wary of stepping in to save the cubs, arguing that they do not have sufficient resources to relocate the cubs to a safe place, and that they should let nature take its course. Unfortunately, nature didn't plan for Walter Palmer and his bow and arrow.